It has been some time since I made the pledge to shake out my make up bag and replace what I was using with simple and kind ingredients. In that time I have been busily reading and testing. The biggest hurdle was not wearing conventional makeup anymore. It was hard and my face felt naked for the first week. As I mentioned before I have spent a big chunk of my life wiping and swiping makeup across my face. And I loved it. Some looks did not look crash hot on me as it did on others. But that is half the fun right? Once I began altering the ritual of applying make up I realised how much I loved it. I love taking a colour and shading my cheek bones in such a way that will either make me look demure or just completely different. Make up has the wonderful ability to help you put together a character of your personality - at least it did for me. I would not say it was crutch. It was fun. Over the years I honed a ritual that now I sortakinda miss. This is a photo of the makeup I use to put on my face. Some was used every day and some for fancy occasions. My blush is missing and that is because it finished the day I proclaimed that I would ditch my makeup for a gentler and simple approach. Unfortunately some of the containers cannot be recycled. I'll keep the pieces that cannot be recycled just in case I find a way to reuse them or store them to for when they can be recycled in Australia. TerraCycle does recycle these in USA, so that is why I am holding onto them. I'd rather they be recycled than go to landfill. I have been able to reuse the blush container for a paint pallet, and the eye shadow container you see above will also be used as a paint pallet. What is not pictured in the shot is my eyebrow and eyelash dye. I have had both tinted since I was 17. I went from going to a beautician every six weeks to doing them myself. When I put my eye lash and eye brow dye in the EWG database there were no great results. My sister heard I was giving this up and offered to take it off my hands, as she will use it up. Waste not I guess. Giving this up was the biggest shock of all. I went from having dark eye brows and eye lashes to my natural blond. But now I am OK. I actually think I prefer it. I am trying to get used to colouring my eyebrows in with cacao (it also works as an eyeshadow too!). This is what has become of my make up bag. Everything has been replaced except mascara. I am scouring the internet for make your own mascara recipes which I will try in the coming weeks. I plan to clean the mascara wand I have and reuse one of the old make up containers to keep the mascara in. 1 - Tapioca powder replaced foundation. Tapioca powder is commonly used as a thickening agent in cooking. Tapioca is not another name for arrowroot. Both can be used alternatively in dishes. One of the difference is that tapioca is higher in starch than arrowroot. Both tapioca and arrowroot powders are fine enough that when it is used on the skin, it cannot be seen. I could not find arrowroot in bulk so I settled for the tapioca and so far it has been a winner. I have always used powders as oil control as my skin is very oily. It is transclucent and when used without any coloring does not hide anything. The first week was difficult barring my skin especially when a blemish appeared. I wanted nothing more than to dab something on it to hide from the world. With no option I instead would look in the mirror and think “the world will keep turning if I wear foundation or not”. And it does and now I am A-OK if the world happens to see me with a blemish. Plus the world can now see the beautiful freckles I inherited from my mum and I love that. My pores did not become clogged and there was no reaction from my skin. Pure organic tapioca costing less than $3 for 150grams is a bargain. Plus it stops my oily skin from looking shiny all day long. I love it! I put it into a old glass bottle. If you are looking to make a powdered blush this would be a great base to start with. Another bonus is that the powder works well as a dry shampoo. I also tried rice powder. It was too grainy and did not stay on my skin. This is a fantastic substitute and smells amazing. I am liking the colour and ease. Plus I know this is a product I can bulk buy using my own containers. The only issue I am having is that when i use it as an eye shadow I cannot use too much near the crease as it seems to accumulate in there halfway through the day. I am going to try mixing in a little turmeric to give my eye shadow a golden glow. If I need to dilute is, then the tapioca powder works well. This product has not been swapped out yet. Years ago I had a cheek and lip stain. I have never ever been able to find something similar until now. 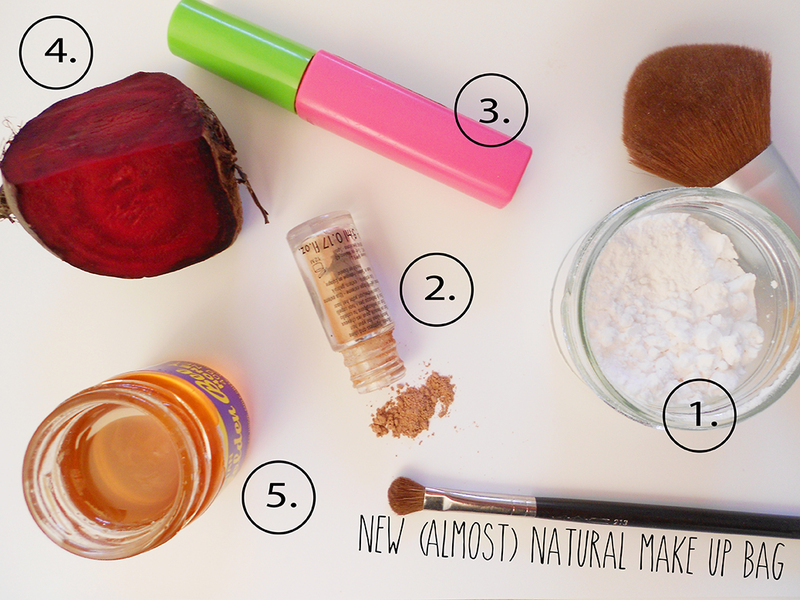 Right now I keep my beetroot blush pretty simple. Each week when the builder and myself do our grocery shop I buy one beetroot. Each morning I slice a piece off and rub it onto my cheekbones. The colour settles perfectly onto my cheeks and lasts all day long. I also rub it onto my lips. The colour only lasts until lunch time. I am going to make a portable lip and cheek stain soon. What is left of the beetroot gets used in cooking so nothing goes to waste. This is ultra moisturizing and has helped wean me off the need to put something onto my lips. Previously, I could not go to sleep at night if I had not put lip balm onto my lips. After I put the beetroot on, I put a little honey. This is a product I can buy bulk as well. Try to get the unheated honey as you will not have to worry about it making a mess as it is firmer consistency. I have loved making the change a kind and natural approach. And it is all so simple and cheap! 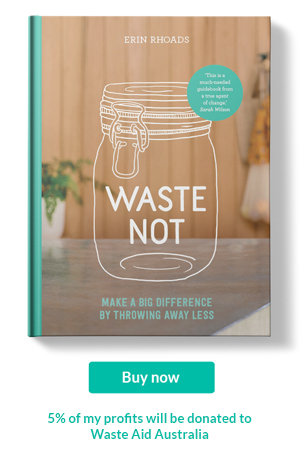 The only downside is that the recycled glass containers I am putting some of these products into are heavy and you need to be super cautious about ever dropping them. It's still a working process. I have at least two/three months left on some of my old makeup. But I am looking forward to saying goodbye to these items. 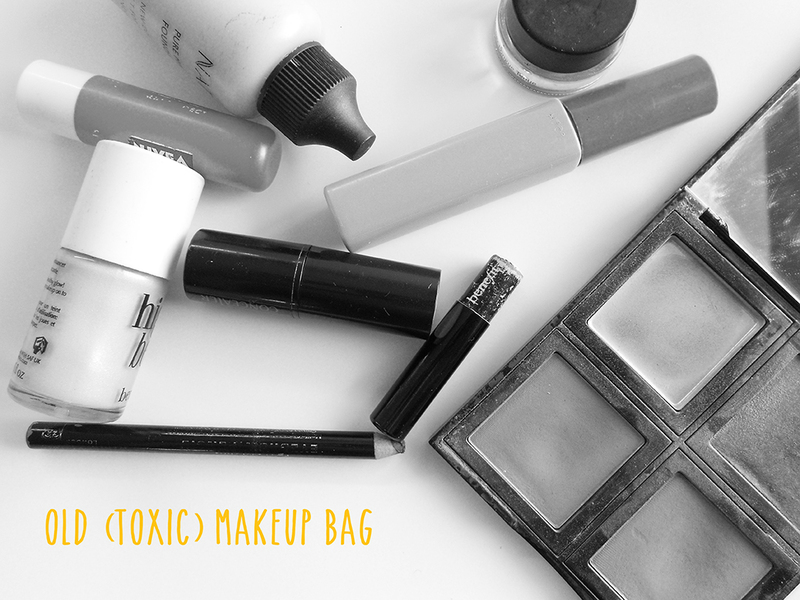 Have you given toxic make up the boot? What have you found to work for you? I would love to hear in the comments below. The builder and I are having a holiday China. I am excited for our first trip overseas together. Plus I get to revisit one of my favorite cities, Hong Kong. We will be spending most of our time in Yangshauo. This is the first trip I have actively sought out eco minded accommodation. Our first choice was an eco hotel that was unfortunately booked out. I suggested camping in Yangshauo, but that was met with a weary look from the builder. Hopefully something comes up to suit our lifestyle. I am super excited to be exploring this pocket of mainland China with my best friend. It will be interesting to attempt another plastic free and waste free holiday. I learnt valuable lessons, from my trip to Myanmar that I can apply on this trip. 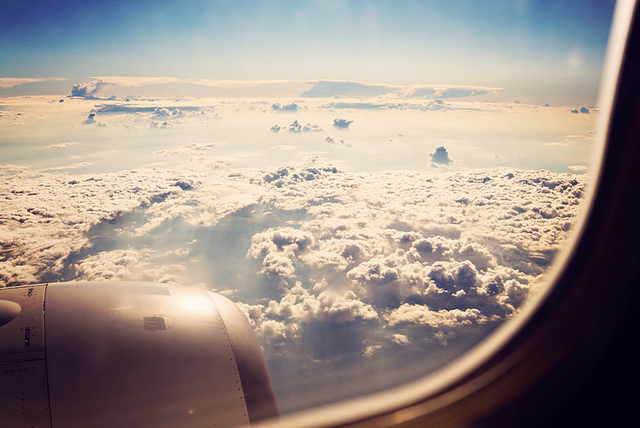 It does feel a like a contradiction to announce I am going travelling on my eco minded blog. Travelling is a heavy polluting exercise. I don’t know if I will ever be able to say no to travel, especially when half of my family live overseas. So being vigilant about my waste and avoiding all plastic, just like I do at home, when travelling is a must for me. Perhaps I should donate a weekend to Landcare and plant trees to offset my emissions? UK design agency Hogarth and custom font makers Monotype have come up with a sustainable font for Grey London to be used across Ryman Stationary and hopefully implement further. Ryman Eco has been designed in a way that when printed would save ink. On close examination each letter looks to have gaps making it look like a decorative font. When printed at popular point sizes, 10, 12 or 14, the brain does not see the gaps instead fills in the blank gaps so we see the form as a normal letter. The printing process also helps fill in the gaps with the natural bleed of inks that can happen on certain stocks of paper. If everyone replaced their standard use of Time new Roman with this font, it would be a saving of 490 million ink cartridges. You can download it for free here.